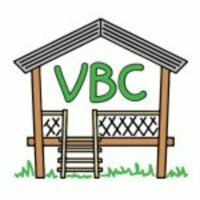 Dale and I have decided to spend four weeks in Cambodia in January 2019 to build houses for the underprivileged, through a charity called Volunteer Building Cambodia Australia. Poverty rates are high in rural Cambodia, where many people are still living on less than $1 a day. Houses are built from timber milled locally, supervised by tradesmen and in the four weeks we expect to build four houses. Sinn Meang started this charity to make a better life for people in his community near Siem Reap. Over the last three years they have built an average of one house per week. The house is built in four days and on the fifth day the house is blessed by local Buddhist monks and the community bring gifts to welcome the new family as the house is handed over to them . If you would like to make a tax-deductible donation to this project your contribution will be very much appreciated.